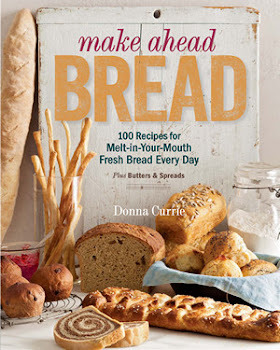 How could I turn down a book called The Make Ahead Kitchen ? Obviously I like the concept, since I also wrote a book about making things ahead. 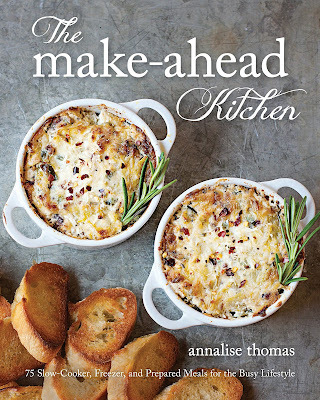 While my book was all about bread, this book, by Annalise Thomas, is about making all sorts of things ahead. Sure, there's bread, but there are breakfasts, desserts, main dishes, and even a few drinks. When I browsed through the book, the first thing I wanted to make was the Maple Bacon Overnight Cinnamon Rolls. Mmmm. Rolls. Cinnamon. Maple. Bacon. But then the weather turned crazy hot and I decided that I didn't really need to be baking buns when it's nearing 100 degrees. So I turned to something cooler. Like salad. The Best Homemade Greek Salad sounded good, but I've made tons of different Greek Salads, and I've posted a bunch of them, too. I've got that recipe set aside to make later. For me. Probably not for the blog. But then I saw the Teriyaki-Shop-Style Salad, which is essentially a recipe for the salad dressing. I had all the ingredients, and I had lettuce. This is quite a tasty dressing. I'm sure I'll be making it again. As far as the rest of the book, I'm going to spend some more time browsing through it. 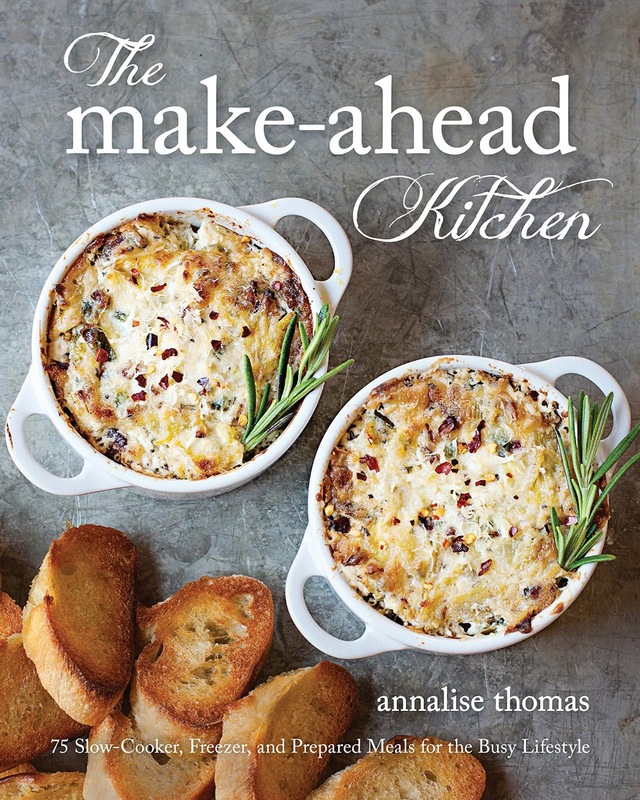 From The Make Ahead Kitchen by Annalise Thomas. All rights reserved. Place all ingredients in a jar with a tight fitting lid and shake well until completely blended. Taste for seasoning (adding a bit of salt or pepper if needed!) and serve over a simple green salad. This dressing can be made ahead and stored in the fridge for up to two weeks. Shake well before serving. Note: I stirred instead of shaking. It worked just fine. I received a digital copy of the book for my use. 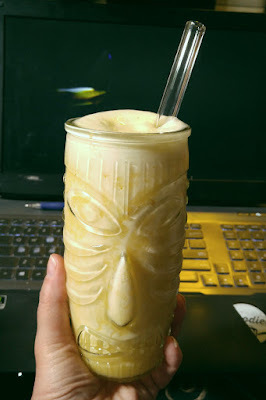 Tiki Cocktails ... and where have I been? 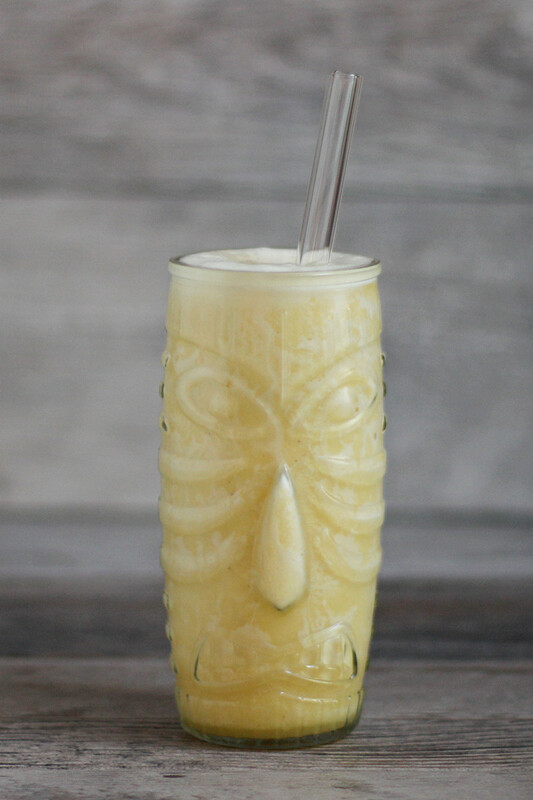 Tiki glasses on Amazon . If you are a regular reader of this blog (yes, you over there in the corner), you might have noticed that I've been awfully quiet lately. It's not that I've given up on blogging. And it's certainly not that I've given up eating. Instead, it's that I've been so busy that I haven't had time to create any new recipes for the blog. All my deadlines for other publications collided, and I've been cooking and writing and interviewing and being interviewed. I even had a photographer from the Denver Post come to my house to take photos. I've been juggling projects, with multiple things in multiple pots, many of which don't fit together as an actual meal. But, really, that's normal for me. I usually have days or weeks when I can cook and write for the blog, and maybe even write a few days or a week ahead. Then come the deadlines for other publications I write for. Pretty soon I have risotto in the one pot and pasta in another. Or three desserts. Or four breads. So, I should be used to the rush, right? But this time, it's different. Not only am I slammed with writing work, but I'm also slammed with other work. You see, my mother-in-law decided to move back to Chicago where most of her family is. Since I'm the remaining family member here in Colorado, I helped her with the move. Had her over when her house was being shown. Held her hand when she talked to the real estate agent. Helped her sort. Helped her pack. Talked her down from a couple crisis moments. She left town with two carry-on bags for the plane trip, and there were three 2-foot-cube cardboard boxes with everything else she wanted to take with her. Think about that. Three boxes that were 24 inches by 24 inches by 24 inches. Three. Boxes. That's it. The rest of her belongings - furniture, artwork, junk, dishes, cooking equipment, old office equipment (hello, typewriter! ), Christmas decorations, more Christmas decorations, blankets, shoes, sheets, towels, (did I mention Christmas decorations?) and even some pretty nice clothes - were left behind. And now I'm sorting through all of it to get it ready for an estate sale. I've unboxed Christmas and put it on display. I've moved things out of the basement and into the garage. I've moved things from closet to kitchen. I've sorted through boxes and bags and drawers and cabinets. It's been exhausting and interesting. I've found things I didn't know she had, and I've found a few trinkets that I'm going to keep. Meanwhile, all of that has kept me away from blogging. Or making any recipes for the blog at all. Until last night. I got home at a reasonable hour, heated up some leftovers (recipe destined for somewhere other than the blog) and decided that I'd better mow the lawn. But when I went to the garage, I saw that the battery wasn't charged, so I couldn't mow if I wanted to. Oh well. I cleaned up the kitchen mess and then glared at the bananas that I recently bought. They were weird bananas, I tell ya. Not the normal ones. These were fatter and the skin was thicker. The inside was a little mealier and starchy, and they weren't quite as sweet or banana-y. They weren't plantains, but they certainly weren't the variety of banana that I love. I ate one, but couldn't stand the idea of choking down more of them as-is. What to do? Banana bread? Banana smoothie? Or ... hmmmm. I felt like I deserved a break. Cocktail time! Put it all in your blender (I used a Vitamix) and blend until smooth. If you're in the mood to do so, garnish with an orange slice, some pineapple cubes, or anything that seems tropical and fun. Paper umbrella optional but amusing. Pour into a glass, insert straw, and relax.